Buy Nothing Day was founded in Vancouver by artist Ted Dave. 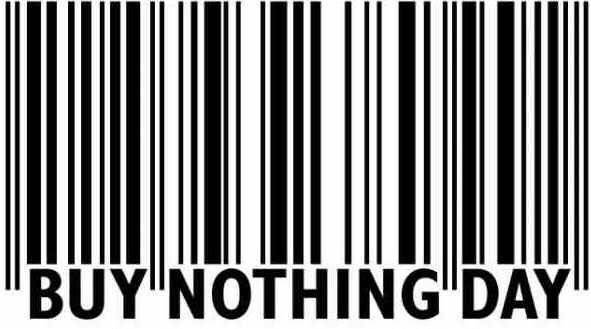 Buy Nothing Day is an international day of protest against consumerism. The first Buy Nothing Day was organized in Canada in September 1992 “as a day for society to examine the issue of over-consumption.” The purpose of the day is to highlight the environmental, social, ethical, economic, and poplitical aspects of consumption culture, and to make it clear to mankind that there is a lot of more valuable and interesting things, in addition to products. This annual event is held in protest against excessive consumption in developed countries, which is imposed by advertising, and olso against the unequal distribution of wealth in the world.